Meal replacement shakes can work so well for weight loss. They’re a simple and easy approach, while often tasting good too. But, how do you choose? There are so many different brands out there, each with their own strengths and weaknesses. In this post, we’re making a simple comparison - 18 Shake vs Isagenix. These are two popular and powerful brands, ones that we’re reviewed individually as well. So, which one is the best for weight loss and health? In a Hurry? Skip Straight to the Final Comparison! It’s always important to consider the flavors available. Having many options increases the chance that you’ll find one (or more) that you like. Variety can also make a brand easier to stick with. After all, having the same flavor every morning would get boring fast. 18 Shake is simple when it comes to flavors. There are just two – chocolate and vanilla. The lack of variety might be okay if you love one of the flavors, or if you plan to create more complex smoothies using the powder. Even so, the flavors aren’t exciting and they’re the most common ones out there. There’s considerable overlap here. For example, there are multiple vanilla shakes, with the main difference being who they’re suitable for. We’ll come back to those dietary aspects later. Even with the overlap, it’s clear that Isagenix has a greater variety of flavors. The products from 18 Shake are both gluten free and soy free. They use whey as the primary source of protein. Whey is a powerful source of protein. But, it isn’t suitable for vegans and anyone sensitive to dairy. Isagenix has multiple types of shakes and they apply to different audiences. Their basic IsaLean shakes use whey. But, they also have a dairy free range that uses plant-based protein. The dairy free shakes are also soy free and gluten free. The IsoLean Pro range uses whey as well but it is targeted at people trying to gain muscle or athletic performance, rather than those wanting to lose weight. Finally, Isagenix does have a vanilla kosher shake. The best way to compare protein shakes is to look at their nutrients, particularly the levels of protein, fiber and sugar. In this case, we’re going to compare the chocolate flavors of each brand. We’re also going to look at the regular IsaLean Shake and the IsaPro from Isagenix. The reason is simply that the shakes have some key differences. The first thing to mention is that IsaLean Pro has more protein, less carbs and less sugar than the regular IsaLean shakes. This makes it better for weight loss. But, the differences aren't dramatic. And, you're still only getting 18 grams of protein per serving, which is on the low end. These aspects alone make 18 Shake more powerful nutritionally. The sugar content of Isagenix is also concerning. If you have a full serving of the regular shake, you're getting 11 grams of sugar. That's high for a weight loss product. And, sugar is very damaging to your health. 18 Shake offers roughly 30% of the daily value for most nutrients, such as vitamin A, vitamin C, folate and biotin. IsaLean at least 30% for most nutrients, with many being higher. This includes 200% of the daily value for vitamin B12 and 80% for folate. This makes IsaLean much more powerful. But again, the IsaLean shake has a much higher serving size. That aside, you shouldn't need the nutrients. Even if you're replacing one of your meals with a shake, it's best to get as many nutrients as possible from your diet. The actual ingredients used between the shakes are mostly the same. However, Isagenix does include sugar as an ingredient, while 18 Shake uses stevia. There is also some probiotics in the shakes from Isagenix, which doesn't seem to be the case for 18 Shake. These patterns are just for the whey version of IsaLean. The company does have multiple types of shakes and the nutrients are likely to be different between them. It's also worth considering appetite suppression. These shakes all aim to help you feel full, decreasing how much much you eat. High protein and fiber is important for doing this. Ideally, you want at least 20 grams per serving and 25 - 30 grams is better. You'd get this from a double serving of 18 Shake or the regular serving of IsaLean. But remember, you only get 16 servings of 18 Shake per bag. You'd go through it very fast if you doubled the serving. 18 Shake also contains an unusual type of fiber called fibersol-2, which has been linked to weight loss and satiation (1,2). But, it's unclear whether this is more effective than other types of fiber. Even if it is, you're just getting 5 grams per serving. If you specifically wanted fibersol-2 benefits for weight loss or health, you'd be better to turn to a supplement. You may be lucky and find that 18 Shake suppresses your appetite at a regular dose. But, the protein content seems too low to do this effectively. Reviews offer important insight into how the two brands perform. But, they’re only ever partly accurate. For one thing, many reviewers have just tried a few products, so they don’t know how good the shake is compared to others. There are also biased reviews for both brands. For Isagenix, these are mostly from distributors, while 18 Shake seems to have paid affiliates. Either way, the reviews aren’t always as accurate as they seem. Reviews for 18 Shake are mixed. I’ve seen many positive ones and many negative ones. This includes various Amazon reviews, along with other sites. The positive reviews are about what you might expect. 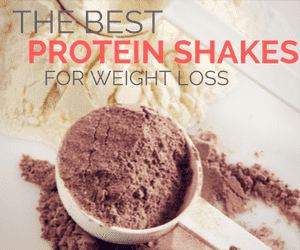 They include people who have successfully lost weight and those that love the shakes overall. However, there were also many negative reviews, especially about the flavor. In fact, even some of the positive reviews above commented that the shake was chalky or grainy. In balance, these perspectives suggest that you might see benefits from the shakes or you might not. But, these are still more positive reviews than negative ones. At the end of the day, the biggest issue would be taste anyway. And that’s always going to be person-specific. Of the two brands, Isagenix tends to get more consistently positive reviews. This is especially clear on Amazon but the same pattern exists across other sites too. One useful perspective is how the shakes taste. Multiple reviewers stated that they enjoyed the taste of the shakes, which is always important. As always, there are multiple perspectives. Some people failed to lose weight with the shakes. Others didn’t like the taste or had a bad experience. Even so, there are more positive reviews than many other brands. Isagenix also has distributors. This means that some of the reviews will be biased. But, if there were serious issues with the products, there would be many more negative reviews too. Isagenix and 18 Shake are very different companies. These differences have strong implications for the products available. 18 Shake is simply a protein shake brand. The entire site is dedicated to the shakes, focusing on weight loss benefits and the idea that the shakes are simply amazing. There are a few other products avaliable, which are simply supplements. These are promoted as ways to increase the effectiveness of the shakes. The main example of this is Sletrokor, which is sold on a similar site. You can check out the review from Diet Spotlight if you want to know more about that supplement. But basically, it’s an herbal supplement that is fairly typical for the industry. Isagenix is a larger company offering a wider range of products. Their categories include Weight Loss, Energy, Performance and Healthy Aging. The shakes are just one of the items in the weight loss category and they’re called IsaLean Shakes. 18 Shake sells directly to customers and operates online only. Isagenix is a network marketing company. This is similar to companies like Avon and Amway, where distributors promote the various items. The style often leads to biased reviews and excessive hype. But, companies like this can still produce good products. The main way to buy the products from 18 Shake is through the company’s website. The shakes can be purchased individually or in bundles. The more you buy at a time, the higher the discount. For a single bag, the base price is $89.99. These contain 16 servings, which averages about $5.60 per serving. However, if you get the best deal, the average price is around $3 a serving. Here you’re paying $239.95 for 5 bags. There are other options in the middle as well. No matter what you choose, the shakes are a decent investment. They’re also more expensive than many other brands. Still, they may be worth it if you did see benefits. You can also find the shakes on Amazon. The pricing and the packs are similar in both cases. However, some people find Amazon more practical. The main way to buy Isagenix shakes is through a local distributor. However, you can also purchase directly from the Isagenix site and the shakes can be found on Amazon. There are two sizing options to choose from. One is the canister, which contains 14 servings. The other is a box of 14 individual packets. So, either way, you get 14 servings. This makes the base price of Isagenix considerably lower than 18 Shake. Plus, the serving size of Isagenix is more than twice that 18 Shake. This means you get much more powder per container with Isagenix. However, the price does differ depending on what you buy. For example, the IsaLean PRO shakes cost $66.60 for the packets and aren’t available in a canister size. The pumpkin spice flavor costs $52.27 for a canister and doesn’t come in packets. There are also discounts for Isagenix, although they are harder to get. One method is to join their autoship program, where you receive the shakes every month and are billed automatically. You can also join as a distributor for further discounts. These can be ways to save money. But, make sure you read the fine print first. Because of the sugar in the IsaLean shakes, 18 Shake is a better brand. But, you might need double the serving to get enough protein and the shake is expensive per serving anyway (even with the discount). Additionally, Isagenix shakes do contain probiotics and a better micronutrient distribution. There are also more flavors, including some vegan options. So, if you don't the sugar, Isagenix might be more appealing. You can also check out our full reviews on 18 Shake and on Isagenix for more details about what the brands offer. At the end of the day, most protein shakes will work. The underlying concept remains the same regardless of the brand. Because of this, the best choice depends on what you need. 18 Shake and Isagenix are both viable choices and they each offer advantages. But, you may find that other products work better for you. The table below highlights some options that you can choose from.